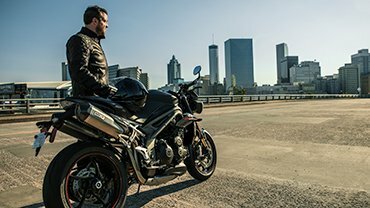 Triumph Assist UK phone lines open Mon - Fri 7am - 10pm, Sat 8am - 8pm, Sun 9am - 7pm, Bank Holidays 9am - 5pm. 03 numbers are charged at national call rates and included in inclusive minute plans from landlines and mobiles. Calls may be monitored and/or recorded. Triumph Motorcycles Limited who are an Introducer Appointed Representative of RAC Financial Services. Breakdown cover arranged and administered by RAC Financial Services Limited (Registered No 05171817) and provided by RAC Motoring Services (Registered No 01424399) and/or RAC Insurance Ltd (Registered No 2355834). Registered in England; Registered Offices: RAC House, Brockhurst Crescent, Walsall WS5 4AW. RAC Motoring Services and RAC Financial Services Limited are authorised and regulated by the Financial Conduct Authority in respect of insurance mediation activities. RAC Insurance Ltd is authorised by the Prudential Regulation Authority and regulated by the Financial Conduct Authority and the Prudential Regulation Authority.